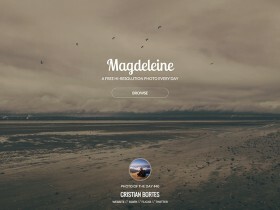 Magdeleine is a new photography blog reporting an high-resolution photo with Creative Commons license every day. 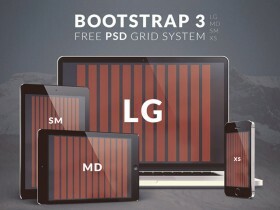 Here is the Bootstrap 3 standard grid system provided in 4 PSDs: LG, MD, SM and XS sizes. 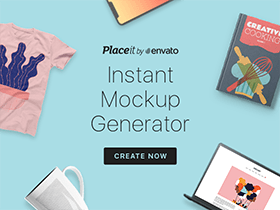 Free PSD released by Epeo. 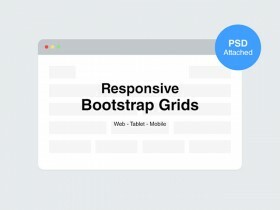 A useful set of Twitter Bootstrap responsive grids (12 columns) provided in a PSD file. It includes 724px, 940px and 1170px breakpoints. A huge pack of fully scalable and pixel perfect movie posters with 20 legends in film history. Released by Adrià Gómez. A set of flat stye squared preloaders provided as GIF, AEP and PNG formats. 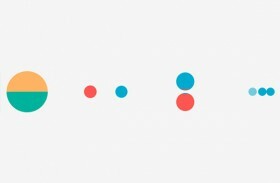 A free resource created by Pixelbuddha for Codrops. A set of 7 retro logo / vintage insignia that you can use for free. 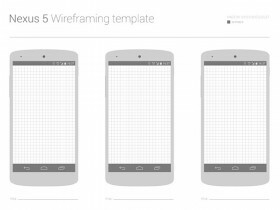 Free PSD released on Graphickadapps. 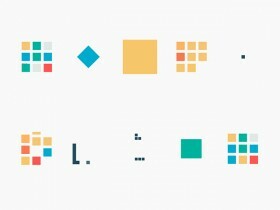 Set of animated preloaders, that was made using simple shapes and trendy colors. GIFs, PNGs and AEP project are included into the file. 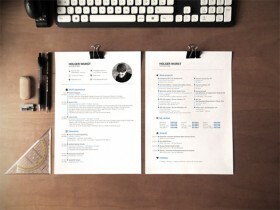 A set of 2 A4 sheets mockups editable with Photoshop smart objects. Free PSD released by Holger Wurst. A set of 4 vintage logos. Just edit text, slogan and your logo is done. Free PSD released on PixelBuddha.